The headline to the Los Angeles Times review of Hell or High Water reads as follows: "When the banks steal from you, is it OK to rob them?" Pretty clearly, to ask the question is to answer it. Why would you not rob them, if you had the chance? This kind of moral illiteracy is just one indication of the extent to which what is now called the "narrative" of the left is taken for granted in our popular culture. It has become a matter of course to assume that the banks rob us, and so it must be equally a matter of course to assume that we may rob the banks in all good conscience — and be treated as heroes for doing so. The hero in the case of Hell or High Water is Toby Howard (Chris Pine), whose West Texas family ranch is mortgaged to the hilt, partly in order to pay for medical care for his now-deceased mother, in whose final days Toby was her sole comfort and attendant. Now, the ranch is about to be re-possessed by the predatory West Texas Midlands bank just as (can you believe it?) oil is discovered on the land. At about the same time, Toby’s ne’er-do-well brother Tanner (Ben Foster) is released from prison and returns home, obviously incapable of not re-offending. See if you can guess what happens next. Toby, who has always hitherto walked the straight and narrow, legally speaking anyway, proposes to Tanner that, instead of a bridging loan, or a sale of mineral rights that would bring them in immediate cash as well as a royalty on the oil about to be pumped, they rob at gunpoint multiple branches of the West Texas Midlands bank so as to pay off the bank with (unbeknownst to the bank of course), the bank’s own money. This seems to them, as it is meant to seem to us, only right and proper. Even the odd-couple but unquestionably "diverse" Texas Rangers Marcus Hamilton (Jeff Bridges) and Alberto Parker (Gil Birmingham) appear to think that the banks are the real robbers, though this doesn’t dampen their ardor for catching the ostensible ones. Hell or High Water — a generic title that tells you nothing about the film — belongs to the sub-genre of heist movies that I call the Prison Fantasy. Like Ocean’s Eleven (the remake, not the original), The Shawshank Redemption, The Good Thief and dozens of other forgettable caper flicks from the last couple of decades, it takes seriously and at face value the venerable, convict-planned One Last Score that will set the planner up for life in freedom and luxury and render further criminality unnecessary. For a film-maker to adopt his hero-criminal’s Prison Fantasy as his own is to rule out from the start the irony, tragic or otherwise, that was characteristic of such scenarios back in the days of the Hays Code. Not that that appears to bother director David Mackenzie or screen-writer Taylor Sheridan, who are mainly concerned with putting across their witty dialogue. All they need for their and Toby’s fantasy to come true is Toby himself as criminal mastermind (like all the planners of One Last Score ex hypothesi) and a slightly less brilliant policeman close behind him whose job is to elicit the explanation of How He Did It, to his and the audience’s great appreciation. Mr Pine’s Toby, though a bit amateurish at first ("I’m guessing you’re new at this," one of his first victims says to him), also has the dubious assistance of Tanner’s criminal experience, not only in planning his successful bank robberies but also, presumably, in developing an apparently infallible system for winning large sums at poker and so not only laundering the cash but augmenting the bank’s contribution to saving the old homestead with another from an Indian casino. And, just in case his brainpower, dark good looks and Robin Hood-like nobility are not enough to prepossess you in his favor, we soon learn that Toby is doing it all for the sake of his estranged wife — he takes the blame for the estrangement, though it is otherwise unexplained — and two young sons, the elder of whom he warns not to be like him. 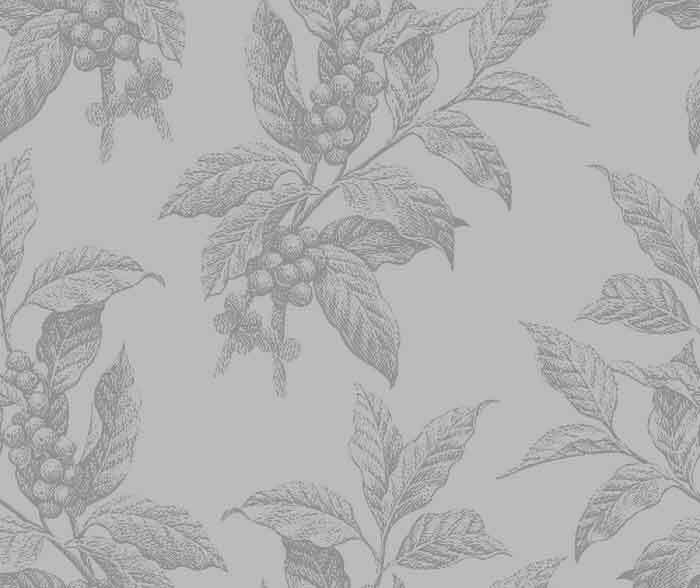 He is also affectionate and indulgent to his convict brother and partner, a wild man prepared to do anything his brother commands — and some more besides. At one point in the Indian casino, Tanner engages a morose and drunken Indian in conversation about the sometime soubriquet of the Comanche, "the Lords of the Plains." "We’re the lords of nothing now," says the Indian, before explaining to the white man that "Comanche" means "enemies forever." "You know what that makes me?" asks Tanner. "It makes me a Comanche," he says, apparently unaware of his own act of cultural appropriation. Meanwhile, Mr Bridges’s Marcus routinely insults the mixed Indian and Mexican heritage of his partner, Alberto, who takes it (as we are meant to do) as good-natured banter. The thrill of the forbidden is on offer to audiences here in more than one way. Why, then, I wondered, did the authors stop short of their natural ending with what, in traditional Western terms, amounted to an unmistakable challenge to single combat between Toby and Marcus? 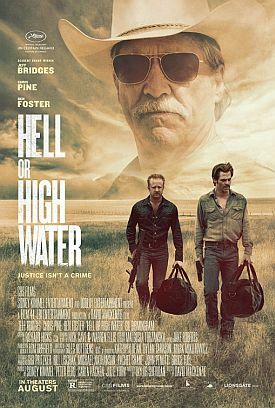 But then the critics are calling Hell or High Water a "neo-Western," which I guess means that we are not supposed to take the challenge any more seriously than we do the racialist banter or the economic theory behind the robber-bank — or, perhaps, the Prison Fantasy by which Toby puts everything in his life to rights by his daring thievery.